Many of the new shotguns that I review shoot nowhere near where they are pointed. 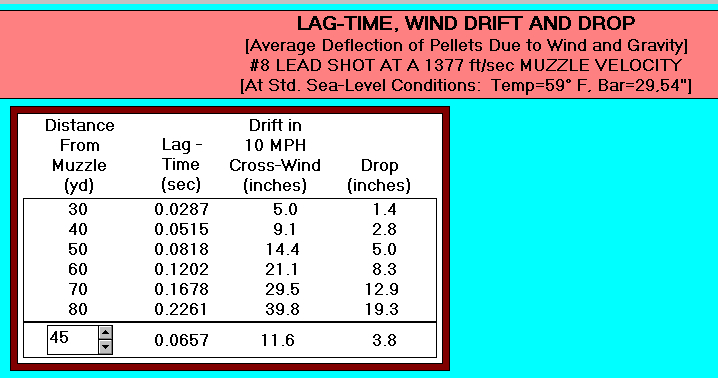 It varies a bit from year to year, but at least one third of the shotguns I test have point of impact or barrel regulation issues. These problems can arise from a variety of areas: defective barrel / choke tube alignment, a bent barrel, a defective choke tube, a mismachined receiver, a canted barrel ring or gas housing, or a combination of these factors. Most shooters do not properly pattern their guns, preferring the comparatively meaningless practice of trying to “read” breaks, shooting at snow, water, or cattails, so they will never know. In December, 2010, Neil Winston published Point-of-Impact & Pattern Testing at 13 yards which can be found at http://www.claytargettesting.com/ . The standard testing used by manufacturers in the United States is patterning in a wind-free test tunnel at 40 yards. It is necessary at even a 10 mph crosswind can move your pattern over 9 inches at 40 yards. To minimize this in your testing, of course you shoot with the wind or directly into the wind. Your Neil Winston results when multiplied by 3 approximate the point of impact at 40 yards. As deformed shot drops away past 30 yards, you'll still need to pattern at 40 yards if you want a 40 yard pattern percentage. Neil's method will give you a quick way to detect significant point-of-impact problems with your shotgun.